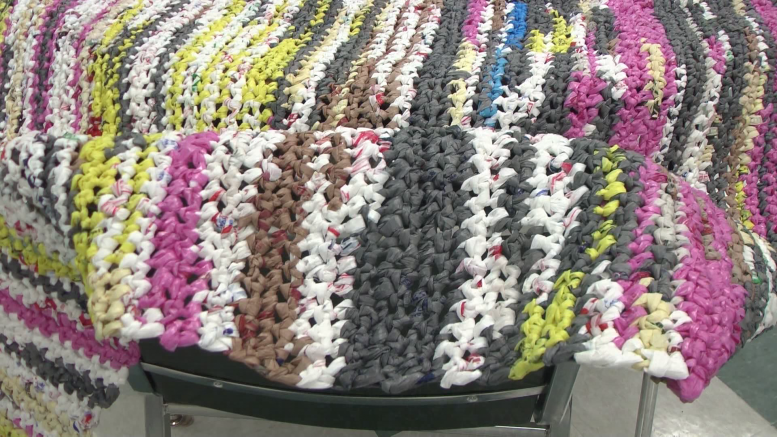 Alpena, Mich— With temperatures dropping day and night, and one brutal cold winter, a group of seniors decided to help out those in need to stay warm. This winter season has been very harsh and dangerous, and to make sure the homeless and animals have something to sleep with is crucial. As this group continues with their good deeds, they discover that their weekly activity is also a way for them to socialize. Each pillow will be donated to local animal shelter, and the blankets will be sent downstate. The group meets at the Samaritis Apartments on Monday’s, Wednesday’s and Friday’s, and is seeking to collect more bags. So next time you held to the local market and need to recycle your plastic drop it off so that this group can continue their efforts.